Weigh in at a kiosk between November 2-30 to complete a pre-holiday weigh-in. 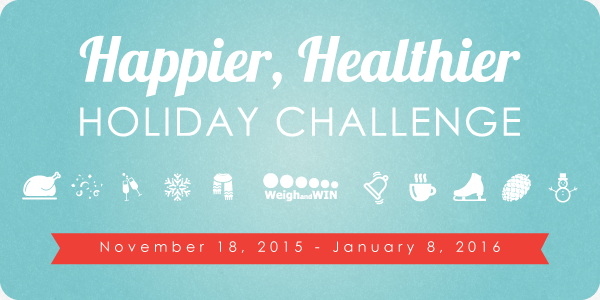 Lose to Win will provide tips for maintaining your weight during the holidays by email. Make sure to check out our Facebook page for additional tips and support! Complete your post-holiday weigh-in any time between Jan 1-31. If your weight is within 1 pound of your pre-holiday weight - you will be entered to win a healthy lunch for your store. The more participants, the greater chance a store has at winning! *Only weigh-ins completed at the Lose to Win kiosks during the specified weigh-in dates (November 2-30, 2015 and January 1-31, 2016) will count. If your weight is within 1 pound (or if you lose weight) you will be entered to win a healthy lunch for your store. The top performing store in each district will be announced February, 2016 and the recipients will be notified shortly after.